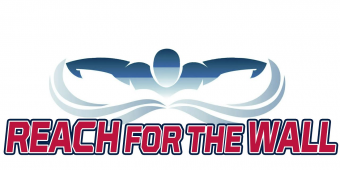 Congrats to PWSL for another amazing record breaking week! Wow—Week 4 was a scorcher! The DV Sharks traveled to Victory Lakes today for a smoking hot meet. As one parent noted on deck, “Summer has finally found us!”We tried to keep cool while still having lots of fun, and the Piranhas spared no expense in making the swimmers feel welcome with some amazing tunes, made-to-order omelet bar, and even a misting tent! In that welcoming environment, some of our newer Sharks achieved some personal best times, and a few won some of their heats this morning. 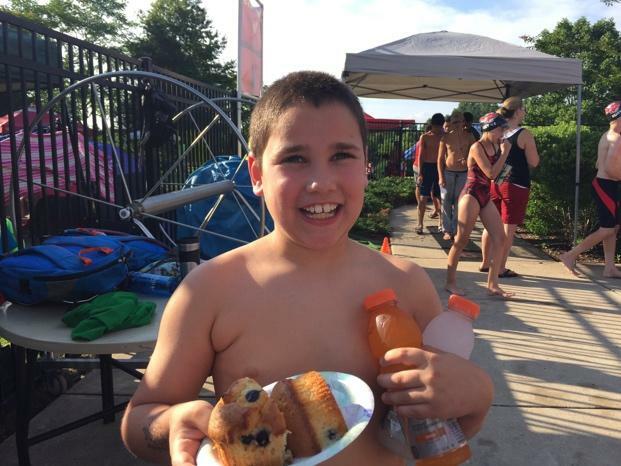 Ryan Maynard (above) set two new PWSL records this week in the Boys 8&U Free (15.55) and Boys 8&U Fly (16.74). Congratulations to all of the swimmers for bringing home a victory this morning! (Final score: Sharks 2,823.50 to Piranhas 2,452.50). Thank you to the Victory Lakes Piranhas for hosting an outstanding meet! 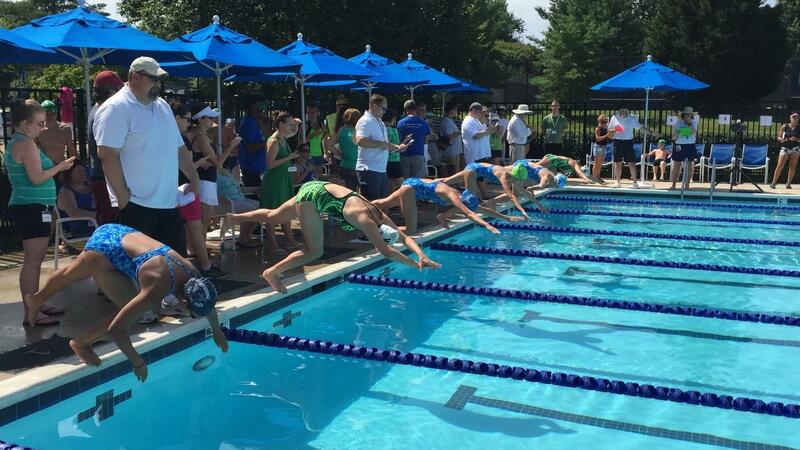 In week 4 the Braemar Blasters and Sudley Seahorses faced off in one of the most exciting meets of the season. The Seahorses brought their best and held a slight lead throughout the meet, with the Blasters inching closer and closer. Thanks to the efforts of the relay teams, who remained cool and calm despite the very competitive atmosphere, the Blasters won by a narrow margin. The Blasters continue their undefeated season going into week 5. The BWaves welcomed the Kingsbrooke Sea Lions to the Bridlewood pool for the second challenge this week, after facing off at the 2nd annual Stars and Stripes Invitational along with Dominion Valley on Monday. A mere one and a half miles apart, the proximity of Kingsbrooke to Bridlewood fosters a built­ in rivalry between the teams ­ a rivalry that has largely been one­ sided in recent years. The last time the BWaves defeated the Sea Lions was 2007, when their current senior class had just graduated to the 9­10 age group. Bridlewood head coach Mark Faherty challenged the team to overcome the odds and the BWaves rose to the occasion. Grabbing some early relay wins ­ including two team record­setting swims ­ the BWaves set the pace and fought hard to maintain their lead. By the end of the meet, Bridlewood completed a successful home stand, winning with a score of 2970.5 to 2251.5. During the meet, BWaves swimmers lowered four records set earlier this year and claimed two new records for a total of six new team records ­ four relays and two individual events. The 8&Under Mixed Medley Relay team of Madalyn Witt, Olivia Ozark, Makenzie Witt, and Paul Querijero inched their relay record faster for a third time this season. Peter Gilbert, Blake Eyre, John Verosko, and Ryan Chmielenski improved on the 11­12 Boys Medley relay record. And the 15­18 Girls, having just missed the Freestyle relay record by a tenth of a second, regrouped as Kylie Stronko, Kelli Curington, Katie Tillotson, and Erin Quinn took a full second off of their Medley relay mark previously set in week two. Christian Carroll also re­-broke his 9­10 Backstroke record, setting the new mark at 39.56 seconds. New to the records board this week, Ella Cypher, Elyse Eyre, Kaley Neal, and Maecy Wells established a new team standard for the 9­10 Girls 100m Freestyle record, besting the 2011 mark by one hundredth of a second. Finally, Makenzie Witt took down one of the BWaves oldest records, smashing the 8&U Girls 25m Freestyle mark of 18.41 (set in 2004) with a sizzling time of 17.88 seconds. The BWaves move to a record of 3­1 on the season and prepare to host the Wellington Dolphins next week. The Southbridge Seals and the Westridge Waves headed into their Week 4 showdown sporting 2-1 and 1-2 records respectively. In the end, the Division 5 Waves overwhelmed the Division 8 Seals 2768.5 to 2149.5, leaving each team with 2-2 records going into Week 5. Eighteen Southbridge swimmers posted a season high 40 “Top 25 Times” for the Seals, highlighted by five individuals breaking six team records in their respective age groups: Kayley Benway (50 Free/100 IM), Alyssa Giovinazzo (25 Fly), Owen Howery (50 Back), Jordan Mumford (50 Fly), and Macy Daly (50 Back). Two relay teams, Boys 15-18 (200 Free) and Girls 15-18 (200 Medley), also set Southbridge records while ten Seals relay teams made “Top 15 Times” for the week. Additionally, several Seals received their first qualifying times in events, among them were: Mags Moore, Gillian Vaughn, Jasmine Okeoma and Kylie Boone (100 IM); William Murphy, Chelsea Pepprah and Nick Callands (50 Breast); and Catherine King and Elena Burset (25 Fly). Southbridge is home for its next meet July 16 against Dale City. 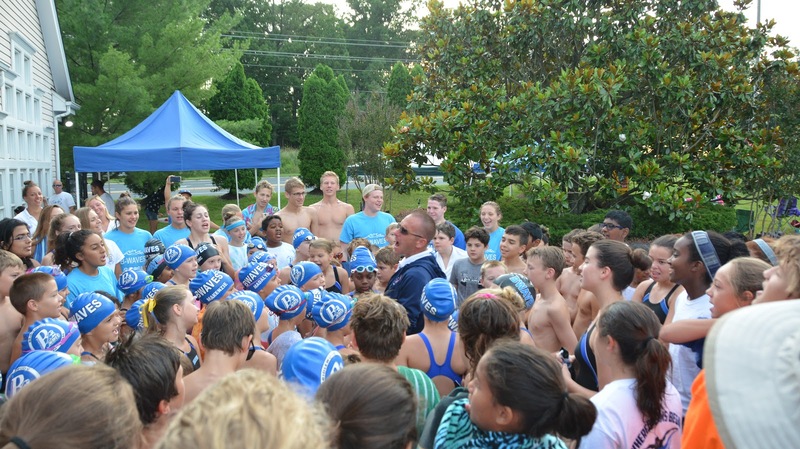 The Seals are the official swim team of Southbridge on the Potomac located in Southbridge, Va., and includes swimmers from the Southbridge, Potomac Shores and other surrounding communities in southeastern Prince William County. They are the reigning PWSL Purple Division champions, claiming the title in 2015, 2014, and 2012.